Good day to you. I’m very pleased to introduce Claire Baker as a special guestblogger on my blog. Claire is a very influential celiac, nutritional personality and is on social media with her thoughts, ideals, and philosophies in regard to living gluten-free and being a survivor of celiac. Claire Baker has worked in community-based non-profit organizations in Philadelphia PA for 20 years and has a wealth of experience in engaging communities around political, health, and urban greening initiatives (here is her profile is on Linkedin). She was diagnosed with celiac disease in 2010 and started So What CAN You Eat? to help others on their celiac journey. In addition to coaching and resources, she is the author of So What CAN You Eat? Gluten-Free Paleo Vegan (mostly) Recipes for Health and Weight Loss available on Kindle at Amazon.com and the Quickstart Guide to Living Happy, Healthy and Gluten-free, available for free when you sign up for the mailing list. She and her partner of 22 years have two boys, ages 11 and 8. Her kids have assisted her with a series of fun gluten-free product video reviews on youtube at www.youtube.com/clairebakerok. You can learn more about Claire at www.clairebakerok.com, on Facebook at www.facebook.com/happyhealthyglutenfree, and twitter at www.twitter.com/clairebakerok. 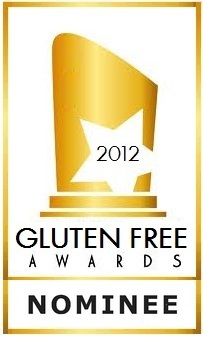 And, if you live in the Philadelphia region, check out the gatherings at www.meetup.com/Gluten-free-in-Delaware-County. I was pleased when Dougie asked me to write this blogpost about finding and creating a supportive network. Dougie has built a remarkable following on Twitter and regularly tweets encouraging and educational celiac information. While I rely on social media and the internet for support, I have done the majority of my celiac community-building in person. Either way, it can be challenging to finding kindred celiac spirits out there. In this post I offer some key techniques gleaned from my work in community organizing to help you find or build a community of your own. From personal experience, I know that there is a certain amount of freaking out upon getting that initial diagnosis — after all, life as we know it, dietarily speaking, abruptly comes to an end. The kitchen becomes a minefield. Restaurants are new gauntlets to run. We think that without the traditional stuffing and pumpkin pie recipe the holidays are ruined. And then, little by little, we settle into our “new normal” and begin figuring out how to manage it all. One great aid in having a pleasant journey is traveling it with family and friends who either “get it” or who support us anyway. But not everyone has a supportive base of family and friends. Some folks don’t get it. Numerous examples abound out there. Here’s a recent one posted at http://glutendude.com. Sad, but it happens. And what if your closest circle of supporters WANTS to help but doesn’t know how, and you don’t have the energy to educate all of them while you are trying to educate yourself at the same time? Ask the doctor or practice that identified your celiac for information about support groups. Hospitals with a strong GI focus may also host a group or know of one. Google “Celiac Support Group” and the name of your city or region and see what comes up. Go to www.meetup.com and see if there is a gluten-free or celiac meetup group near you. It’s free and easy to lots of different kinds of affinity groups. Seek support on-line. Twitter is a great way to connect for conversation though it does take a little getting used to (you are limited to 140 characters per tweet, and just because you tweet something doesn’t necessarily mean someone will tweet you back.) Be sure to “follow” GFDougie and Clairebakerok! Join the celiac listserv and ask them about a group in your area. Though it is a little old school, the celiac listserv is huge, with people from all over. The collective knowledge and experience in that group is astounding and is underutilized in the celiac community. Learn more here and send an email with the word “Subscribe” to CELIAC-subscribe-request@LISTSERV.ICORS.ORG. Decide what you want. Mutual support? Informational/educational meetings? Potlucks? Restaurant outings? I created Gluten-free Delaware County (GFDC) to be mostly fun, mutual support, and food-centric. I thought at first we’d meet at a community space and do potlucks or something, but after I hit a roadblock with finding a welcoming and free space, I modified my first gathering to be a weekend lunch at a chain restaurant that had a gluten-free menu. My real goal was getting people together, and I figured I could get ideas for a potluck or presentation venue from the group. Pick a place, date and time for your gathering. I described the highly scientific approach above. 😉 The important thing is to just decide, but give yourself enough lead time on the date you select so that you have time to reach out to others who may be interested. And since you will be reaching out to people you don’t know, for personal and safety reasons you may want to meet in a public place, at least for your first couple of gatherings. Find the people and invite them. Make a flyer and take it to your doctor’s office, the local health food store, chiropractor, yoga studio, and other outlets you find important. Tell them what you are doing, ask if you can make the flyer available and if they can share the info with other patients/clients/customers. Talk about it with your friends – it seems like more and more people know other people who are eating gluten-free these days. Ask if such gluten-free notifications can be posted in your church bulletin or local community newspaper. Put a flyer up in the library or at the store or at the hair dresser’s. See if you can visit local community meetings taking place to either announce celiac or gluten-free or put it in their newsletter. Of course you don’t need to use all of these methods, but the important thing is to get the “celiac” or gluten-free word out. Follow through. Even if you only have one RSVP, host your event anyway. You don’t know if someone else will show up unannounced, and you don’t want to lose the interest of the one person who did commit to attending. It can be discouraging, but it takes time to build a solid and interested group. Be sure and engage your small group in thinking about the specifics of the NEXT gathering. Just know that not everyone can come every time, so stay with it and don’t take low attendance personally. Just work on your outreach strategy and know that making those one-on-one connections is so important that it’s worth putting up with a couple of small gatherings once in awhile. Ask the other participants what they would like. At the GFDC gatherings, I usually ask folks for ideas for where and when to meet next, and it’s great not only for generating ideas, but for keeping the conversation going. The more people are involved in the decisions for the group, the more ownership they will feel toward it and the more likely they are to keep coming back. Plan the next one. Even if you set a specific time and place each month or week for your gatherings, you’ll have better success if you continue to bring the same rigor to planning each one. And once you are rolling, you can ask other members or participants of the group to help get the word out to their networks and connections. It builds from there. Also consider asking someone in the group to help you with planning and logistics. This will help you keep from burning out and let you miss a meeting from time to time without the gathering falling apart. With GFDC we don’t have a set schedule, but I do try to schedule a gathering at least once a month, so I can flex it with my schedule and avoid conflicts with other happenings, holidays, etc. Just as you have taken control of your health and well-being by adopting the gluten-free diet, you can take control of finding or building a support system. It can take a bit of work, but the rewards are enormous and your universe of people who get it will widen immensely. As you can see celiac connection and education is work. But it’s well-worth knowing and educating what you and others go through in developing relationships with other celiacs. Agreed? I hope you enjoyed Claire’s blog and got some true celiac education in how to live a celiac lifestyle with support from Family, Friends, Co-Workers and others! Good day to you. 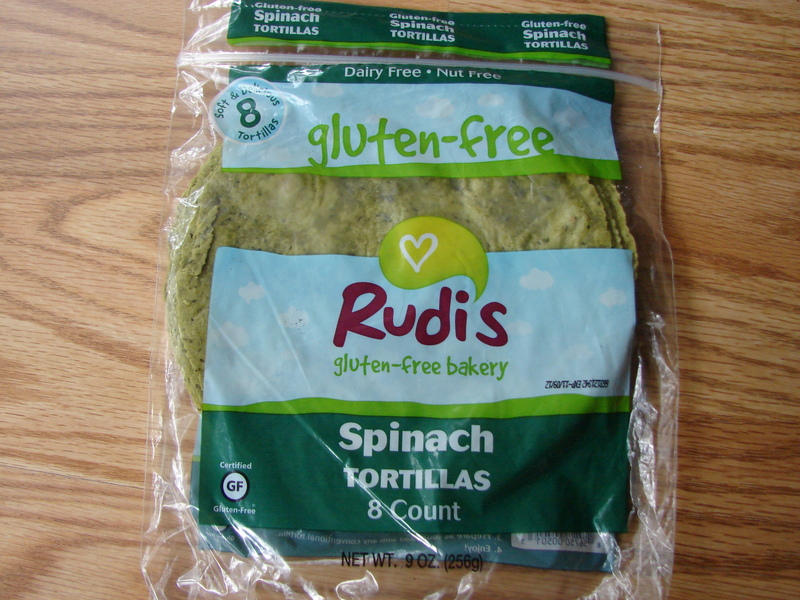 I recently approached Rudi’s Gluten-free Bakery and inquired if they had any gluten-free samples available. In their response to me they stated they did and asked me if I would be interested in their gluten-free tortillas. 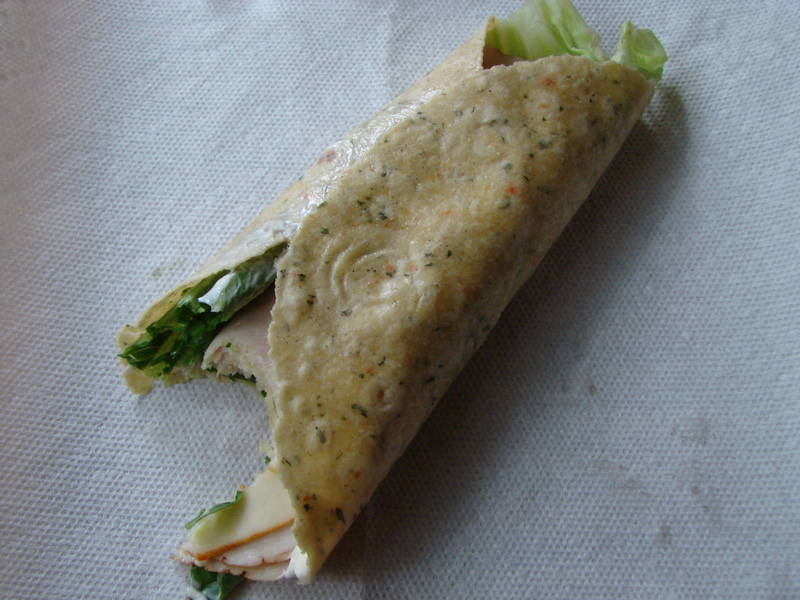 Since I’ve been searching for a gluten-free, high-quality, tasty wrap for quite a while now I immediately said “Yes!” The above pictures are what I received. Produced in a facility that also uses soy. 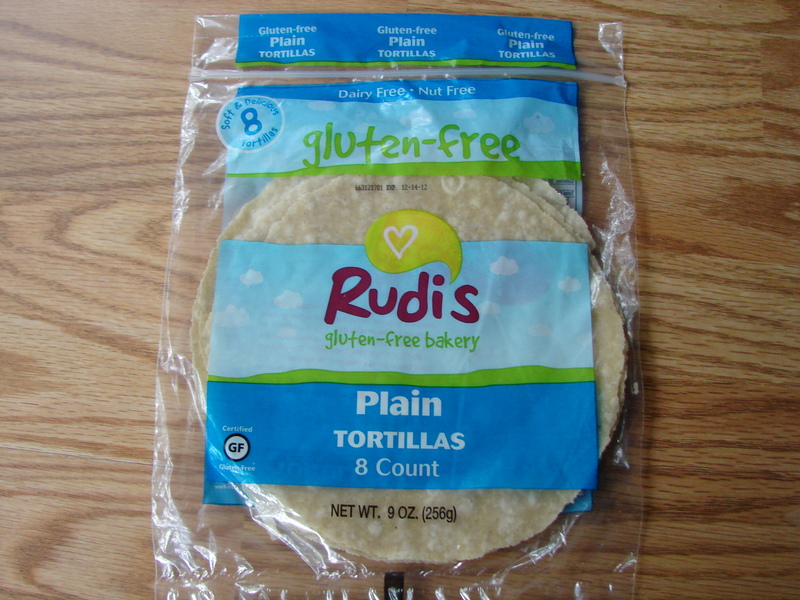 Since I’ve been searching for a gluten-free, ready-made wrap for quite a while now you can imagine my excitement and anticipation in receiving Rudi’s samples. They came through with flying colors as their samples arrived to me via 2nd day UPS! That, my friends, is Customer Service! 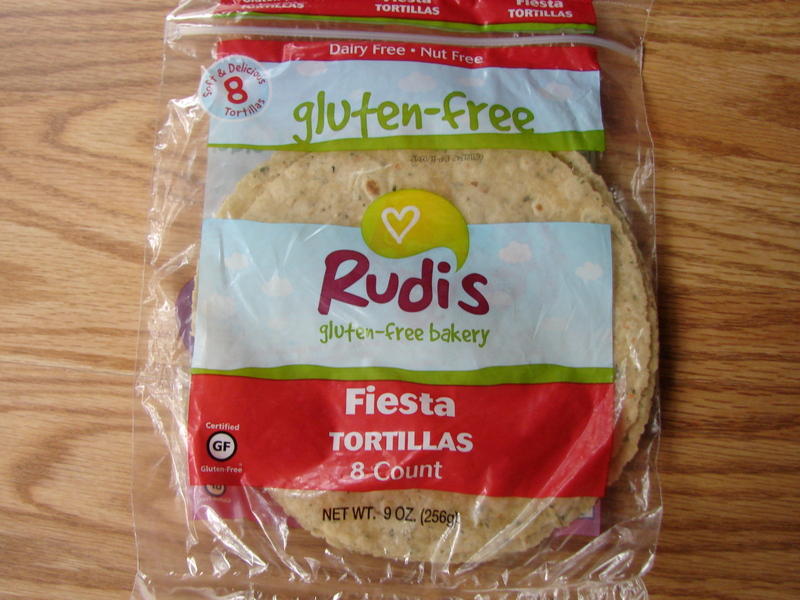 I will be a returning Customer of Rudi’s Gluten-free Bakery in regard to Tortillas and hope you will consider them for your personal gluten-free options in the matter of convenience and natural ingredients they use. They have a great product in regard to their tortillas and I will try others of theirs. Disclaimer: While Rudi’s Gluten-free Bakery provided me with these free gluten free products, I was under no obligation to review them, if I so chose. Nor was I under any obligation to write a positive review. I was not compensated to provide a testimonial of their products. I hope this product review helps you with your own personal decisions in regard to a gluten-free diet and products available to you. Research, educate, and advocate all celiac and gluten-free. Explore new gluten-free products and see if they’ll help you with your nutritional lifestyle. Good day to you. The United States of America is 236 years old today, Independence Day (2012). 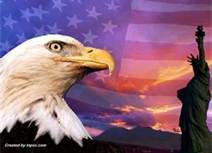 While we celebrate our Freedom by attending cook-outs, launching our boats, and enjoying other summertime pastimes; let us not forget our Freedom is not Free. Freedom is certainly not free to all of the United States Military who serve or have served our country with pride and patriotism. So please, take a moment and reflect upon the reason for this Holiday and pay your respects to those who have sacrificed and died for your Freedom. Good day to you. Today I’m honored to guest blog on the subject of celiac disease awareness and education by invitation of Ms. Gillian Stephen; thank you. Celiac disease and the gluten-free diet are an often confused diagnosis and diet. Recently, the gluten-free diet has been touted as a weight-loss diet by many major media commercial markets. This couldn’t be further from the truth, as many gluten-free foods have twice the carbohydrates and sugars as their glutenous counterpart products. What does all of this mean for you, dear reader? 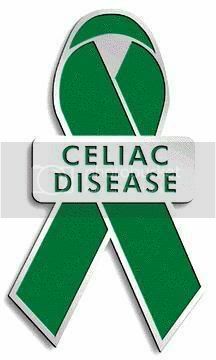 In spite of the hype of the gluten-free diet, you may still have celiac disease and be undiagnosed with this hereditary disease. Celiac disease is quite prevalent in the USA. It’s generally agreed 1 in 133 American citizens have this disease. It’s also agreed 97% of our citizens are not diagnosed with celiac disease. Why? Symptoms of celiac disease are often confused as being symptoms of other diseases or complications, causing misdiagnosis. The average timeframe for an American citizen to be diagnosed with celiac disease is ten years. The confusion in the lack of diagnosis of celiac disease lies in two areas I feel. One, celiac disease symptoms are vague enough to be as a result of any number of maladies and are not experienced by all who suffer. Two, Doctors are not educated enough on celiac disease symptoms to provide an accurate analysis or diagnosis. What does this all mean to you, dear reader? You need to educate yourself and ask your Doctor questions in regard to your personal symptoms as those questions may result in the diagnosis of celiac disease for you. Please read more of my celiac educational blog via Fitnessbuster. Gillian’s blog focuses on health and nutrition as a way of life in order to lose weight as an end result. I’m honored she’s provided me a great guest platform for celiac awareness on her blog. I hope you enjoy more of her blogposts once you link to her site.